Just a Guy’s monthly music article includes the top songs of June 2014. The restrictions are simple, the album or the song must have been released during the month in review. So as to encourage musical diversification, we only select one song per album per artist. With all the stipulations out of the way, let’s take a look at the best songs from June. “Calm Down” is a big time collaboration between Busta Rhymes and Eminem, whose last album was a sensation. The song is the featured single from Busta’s E.L.E. 2 or Extinction Level Event 2. As is to be expected, the song is fast paced and shines with lyrical talent. 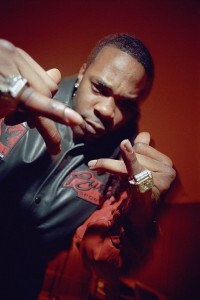 In fact Busta wrote out his verses, then heard Em’s and rewrote his verses to be longer so as not to be outdone. That kind of competitive behavior only means good things for listeners. Say Anything has always held a unique place in the pop-punk/alternative music scene. “Six Six Six” is off the band’s new album Hebrews and features Andy Hull, Jon Simmons and Sherri Dupree-Bemis as guest vocalists. Max Bemis is as angsty as ever, but he’s older and wiser now. The song is pounding, but remains reflective like all of Say Anything’s songs. Solo, or in a band, Jack White makes catchy rock songs. Following his tremendous solo debut, Blunderbuss, White returns with Lazaretto and the title track is the lead single. The song features a simple bass/guitar line that drives the song until an awesome tempo change on the bridge. Fans of White will love the track. Linkin Park’s Hunting Party is their sixth studio album and is a definitive return to their roots. What are their roots you might ask? Well, it’s a harder, louder sound most like their Hybrid Theory album. This is great news for fans and music heads alike. This particular track features legendary rapper Rakim and is the first single from the new album. Mastodon returned with Once More ‘Round The Sun and the title track is everything fans have come to expect. Fast, hard driving rock music. One of the shorter songs on the album (clocking in just under three minutes) it perfectly distills what the band is about, heavy rock with sludgy guitar rifts. “Smoke” is off of Curtis Jackson’s fifth studio album, Animal Ambition. It features the soothing tones of Trey Songz and is a much more mellow and laid back 50 Cent than traditionally thought of. While he may never regain his former glory, he will continue to put out above average music. The Rockville LP is O.A.R.’s newest album and their eighth of record (pun intended). Like the title of the song, “We’ll Pick Up Where We Left off”, the band certainly continues doing their thing just like they’ve always done and that’s playing easy listening upbeat music that’s even better live. “West Coast” comes off Lana Del Ray’s Ultraviolence. It’s a smokey track that has a strong hip hop vibe to it. A perfect summer track, Del Ray sure knows how to romanticize just about anything. “West Coast” is no difference and is one of the albums best tracks. “Hater” is the newest song from the Bakersfield, California rockers Korn. It’s featured on a reissue of The Paradigm Shift, which features three brand new tracks beyond the original tracks. The song is about positivity against, you guessed it, all the haters out there. Long time fans will enjoy some fresh new tracks. “Matthew James” is the lead track off of Language & Perspective by California’s Bad Suns. It’s an upbeat, pop-rock track in the same vein as The 1975. The two bands share a the same label. Bad Suns have a brighter sound to them, and are poised to break out.